The only country to be struck by atomic bombs, Japan has refused to sign the Treaty on the Prohibition of Nuclear Weapons that more than 120 member states of the United Nations adopted last year. The United States dropped the "Little Boy" bomb over Hiroshima on Aug 6, 1945, and "Fat Man" over Nagasaki three days later, killing nearly 214,000 people and leaving tens of thousands injured. Japanese Prime Minister Shinzo Abe made no mention of the treaty in his speeches on the 73rd anniversary of the atomic bombing of Hiroshima and Nagasaki. "As the only country to have sustained atomic bombings in wartime, Japan has a duty to tirelessly continue its work in pursuit of a nuclear-weapon-free world," Abe said in Nagasaki on Thursday. But he blurred Japan's role as "an intermediary" between nuclear and non-nuclear powers. 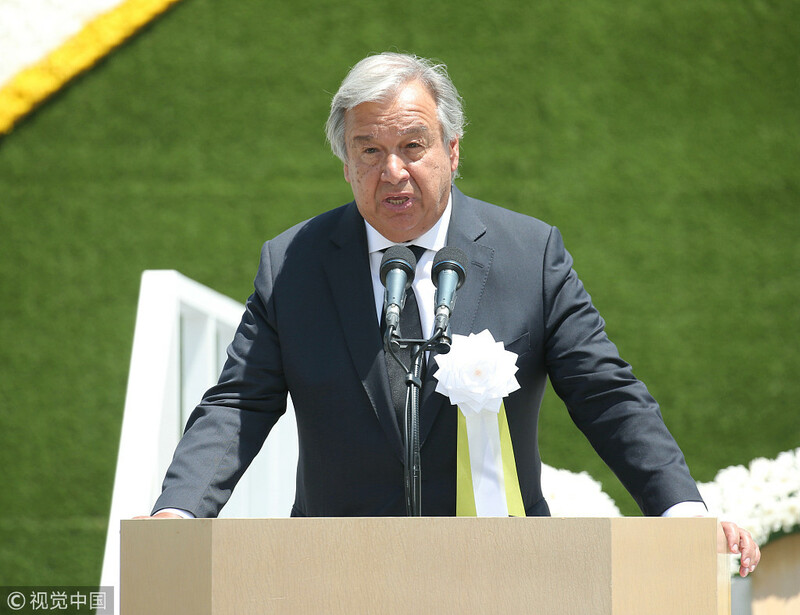 In Nagasaki, United Nations Secretary General Antonio Guterres called on all countries to commit to nuclear disarmament and to start making visible progress as a matter of urgency. Guterres, the first sitting UN chief to participate in Japan's annual observation of the bombings, asked all to commit to making Nagasaki the last place on earth to suffer nuclear devastation. In 2017, more than $1.7 trillion was spent on arms and armies, the highest level since the end of the Cold War. "That is around 80 times the amount needed for global humanitarian aid," he said. Chemical and biological weapons of mass destruction, and those being developed for cyber warfare, pose a grave threat, the UN chief added. "There is an urgent need for disarmament of all kinds, but especially nuclear disarmament," Guterres said. 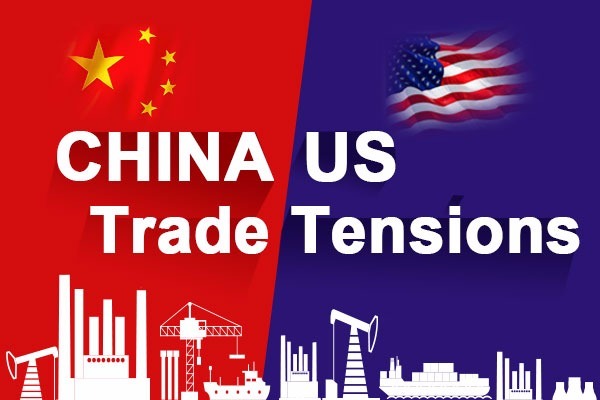 He launched a new global disarmament initiative in May focusing on three priorities - weapons of mass destruction, conventional weapons and new battlefield technologies. Nagasaki Mayor Tomihisa Taue urged the Japanese government to fulfill its moral obligation to lead the world toward denuclearization. Taue said all nations should change their security policies to those not dependent on nuclear weapons before humanity once again commits a mistake that would create even more atomic bombing victims. Tokyo has refused to sign the treaty because it relies on the US nuclear umbrella. Abe shunned Beatrice Fihn, executive director of the Nobel Peace Prize-winning International Campaign to Abolish Nuclear Weapons, when she visited Japan in January. Japan possesses a stockpile of about 47 tons of plutonium. The amount is enough to make some 6,000 atomic bombs. Japan should eliminate all elements in its words and deeds that cause suspicions about its resolve to seek the abolition of nuclear weapons, including its plutonium stockpile, a Mainichi Shimbun editorial said.